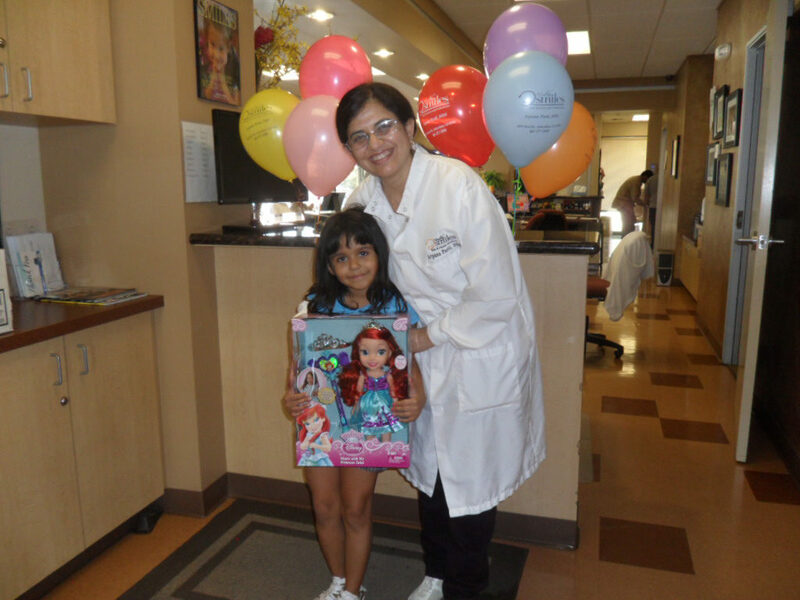 The American Academy of Pediatric Dentistry recommends that your child see a dentist by their first birthday. 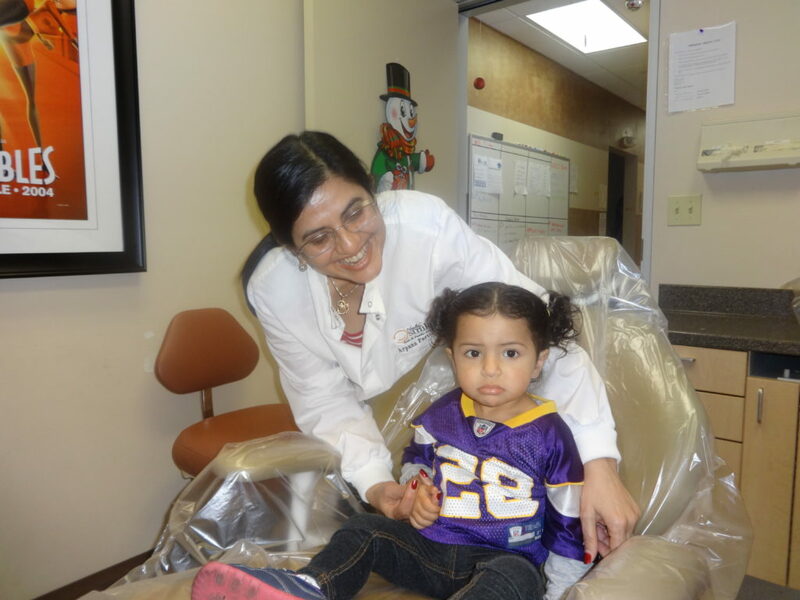 Dental problems can start early, so the earlier their first visit the better. 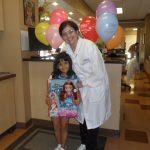 The American Academy of Pediatric Dentistry and the American Dental Association recommend a dental check-up at least twice a year for most children and adults. 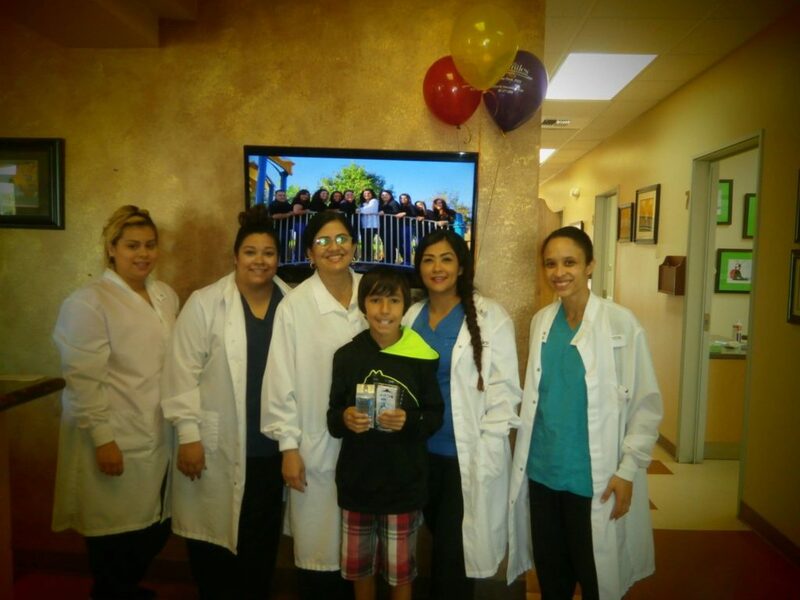 However, some children and adults require more frequent visits due to increased risk of tooth decay or a need for more frequent dental cleanings due to braces, poor oral hygiene and increased risk of periodontal disease. 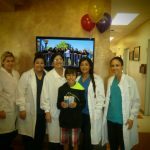 Your child’s dentist will evaluate any specific needs and recommend a dental prevention regimen. When will my child's teeth start to come in? 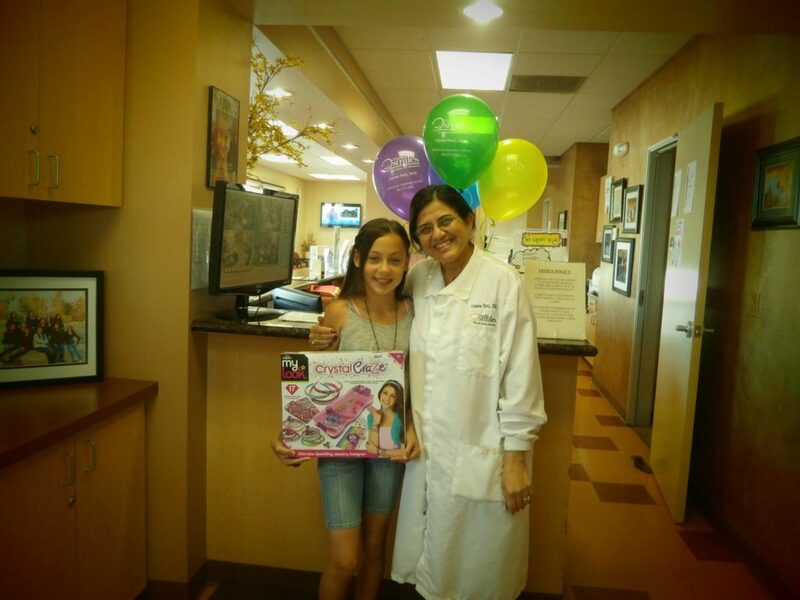 It is important that as your child has teeth coming in, they are evaluated on a regular basis. 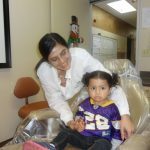 By doing regular evaluations, we can make sure that your child’s teeth are developing properly and give tips on how to care for your child’s teeth. We’ve included charts that show when teeth typically erupt and when they are lost, as your child continues to grow. These are just guidelines, though, so if your child doesn’t follow this exactly, your child is more than likely still developing normally. If you do have questions or concerns, then call our office and we can take a look for you and address any concerns that you have. Several specific types of bacteria that live on the teeth cause decay. When sugar is eaten, the bacteria uses the sugar to create acids that dissolve the teeth and cause an infection. This infection is called decay. Teething babies who are given a bottle of milk, formula, or juice at bedtime are more likely to get tooth decay. This is because the sugar in formula, milk, or juice stays in contact with the teeth for a long time during the night, leading to decay. 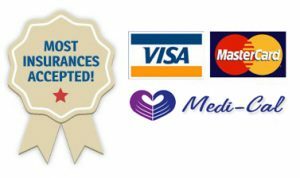 When choosing toothpaste for your child the most important thing to look for is the American Dental Association (ADA) Seal of Acceptance to ensure the product’s safety and effectiveness. Use a small amount of toothpaste – about the size of a pencil eraser or a green pea. No matter what the brand your child uses, always have them spit out the toothpaste rather than swallowing it. Toothpastes containing fluoride should be avoided in children less than 2 years of age. How can parents prevent decay caused by nursing? Avoid nursing children to sleep or putting anything other than water in their bedtime bottle. Also, learn the proper way to brush and floss your child’s teeth. Take your child to a dentist regularly to have his/her teeth and gums checked. 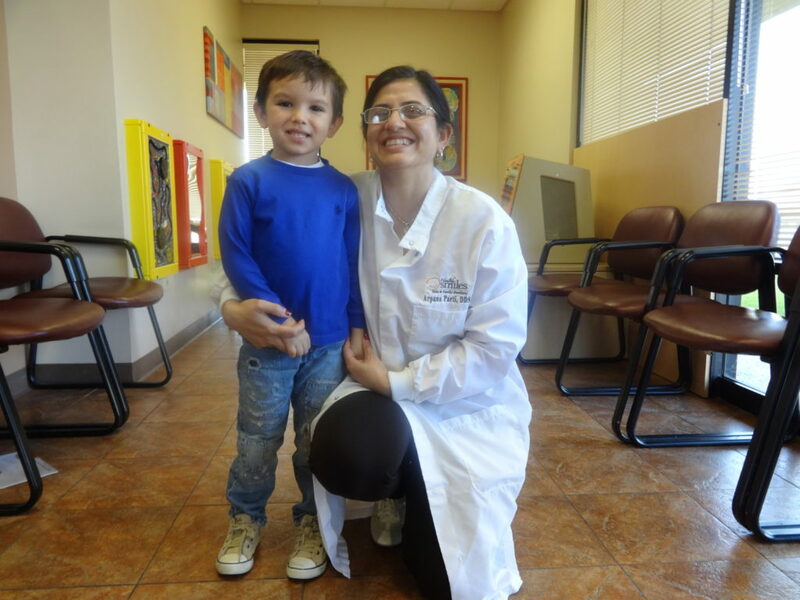 The first dental visit should be scheduled by your child’s first birthday. You should take your children to the dentist regularly, beginning with the eruption of the first tooth. Their dentist can recommend a specific program of brushing, flossing, and other treatments for you to supervise and teach to your children. These home treatments, when added to regular dental visits and a balanced diet, will help give your child a lifetime of healthy habits. 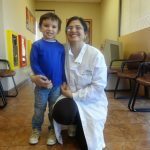 How does my child’s diet affect his/her teeth? Healthy eating habits help lead to healthy teeth. Like the rest of the body, the teeth, bones and the soft tissues of the mouth need a well-balanced diet. Children should eat a variety of foods from the five major food groups. Most snacks that children like to eat can lead to cavity formation. The more frequently a child snacks, and the longer the food stays in the mouth between brushings, the greater the chance for tooth decay. For example, hard candy and breath mints stay in the mouth a long time, which cause longer acid attacks on tooth enamel. If your child must snack, choose nutritious foods such as vegetables, low-fat yogurt, and low-fat cheese, which are healthier and better for children’s teeth. A sealant is a hardened plastic material applied to the chewing surface of the back teeth (premolars and molars). The sealant acts as a barrier to food debris, plaque and other cavity causing bacteria. Dentists often recommend placing sealants on your child’s new permanent teeth in order to prevent most tooth decay. If you decide to put sealants on your child’s teeth, avoid giving them sticky or hard foods, which can “pull” at or “break” the sealants. Thumb and pacifier sucking habits will generally only become a problem if they go on for a very long period of time. It can affect the way your child’s teeth and jaw develop and fit together, which can cause problems as they get older. Most children stop these habits on their own, but if they are still sucking their thumbs or fingers when the permanent teeth arrive, a mouth appliance may be recommended by your dentist. Why are primary (“baby”) teeth so important? A healthy smile starts at birth, so it’s very important to start practicing good dental health as soon as your child’s first tooth appears. Neglected cavities in baby teeth can and often do lead to problems that can affect your child’s developing permanent teeth. Primary teeth, or baby teeth, are important for proper chewing and eating, providing space for the permanent teeth and guiding them into the correct position, and for normal development of the jaw bones and muscles. Primary teeth also affect the way your child’s speech and facial features develop. While the front four teeth fall out after 6-7 years of age, the back teeth (cuspids and molars) aren’t replaced until age 10-13. Waiting to take care of these teeth can become painful and expensive to treat down the road. Encourage healthy brushing habits early! Soft plastic mouth guards, available at sporting goods stores, can be used to protect your child’s teeth, lips, cheeks, and gums from sport related injuries. Another option is a custom-fitted mouth guard developed by a dentist, which will protect your child from injuries to the teeth, face, and even provide protection from severe injuries to the head. Parents are often concerned about their child’s nighttime teeth grinding (bruxism). You may hear your child grinding in their sleep, or you may just notice excessive wearing of their teeth, such as their teeth getting shorter. There are many reasons your child may begin grinding their teeth, including stress or pressure in their inner ear. Most of the time, children outgrow teeth grinding and do not need treatment. Grinding usually gets less between ages 6-9 and stops completely by the age of 12. If you think your child is grinding their teeth, discuss your options with your child’s pediatrician or dentist. 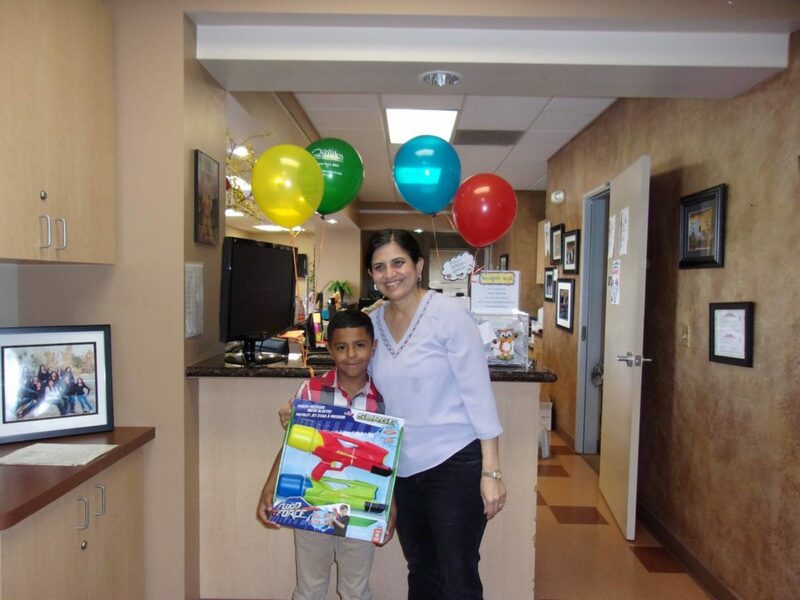 “Happy” air or “Laughing” gas is a blend of two gases. When it is inhaled, it has a calming effect on the patient, allowing him/her to respond more favorably to treatment. Laughing gas is very safe. Your child will remain fully awake and alert and can respond easily to stimuli. It is eliminated quickly from the body with normal breathing of oxygen and room air.